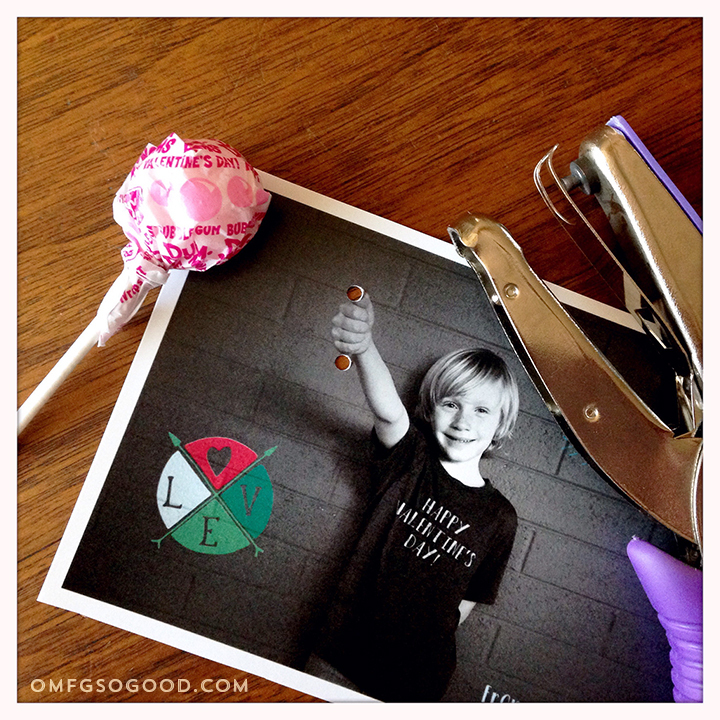 lollipop valentines for kids | omfg. so good. Not gonna lie. I look forward to holidays just so I can flex my crafty muscles on a fun project for the kids to share at school. Total mindless, creative free-for-all up in this hizzy. Fo shizzy. This Valentine’s Day, we decided to get personal with our giving of candy in the name of love. 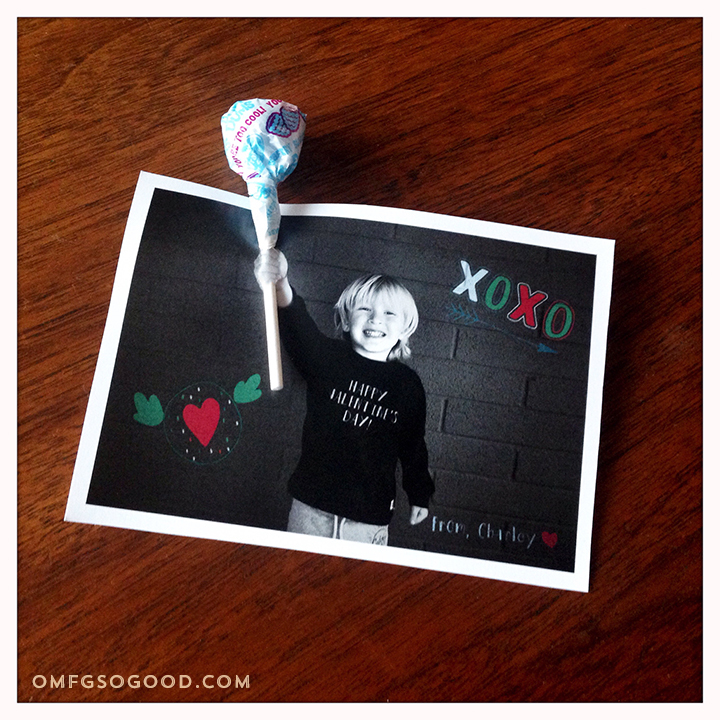 This project was so simple to put together, requiring only a camera or camera phone, card stock for printing, a small hole punch and some Valentine’s themed Dum-Dum lollipops. Great idea and very cute!